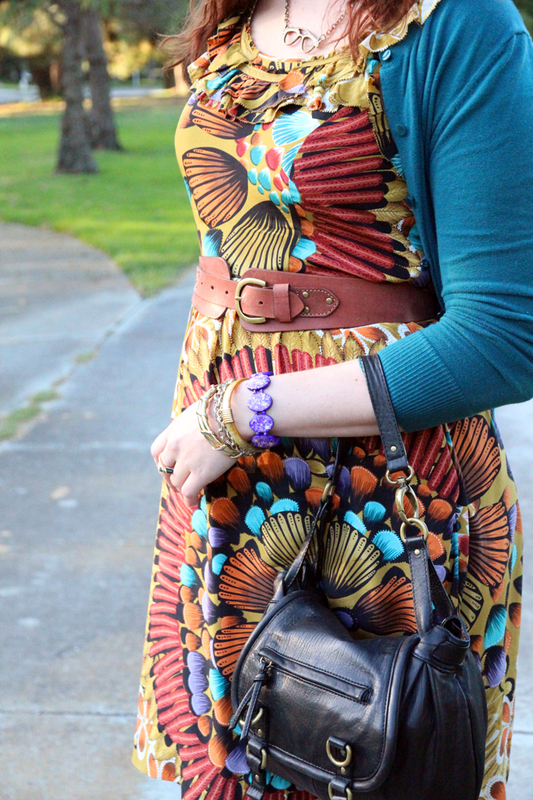 Dress, Belt, Bag: Anthropologie. Cardigan: Target. Shoes: Philip Simon (c/o). Necklace: ModCloth. Bracelets: Kora (c/o), Vintage. Ring: Vintage. I decided to bust out my amazon-lady heels one more time before it gets too chilly, although now that I think about it they would look cute with jeans too. 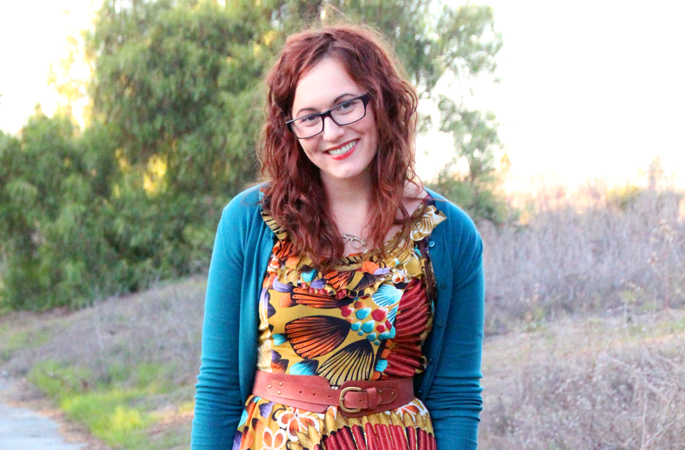 The bold colors and pattern of this dress always seem to put me in a good mood. So vibrant and perfect for fall! I am getting pretty excited about the holidays, and I am especially looking forward to a few days of much needed relaxation. I’m heading to good ol’ Wisconsin for the better part of the week, but I’ll be sure to snap a few photos while I’m there. What are your Thanksgiving plans?